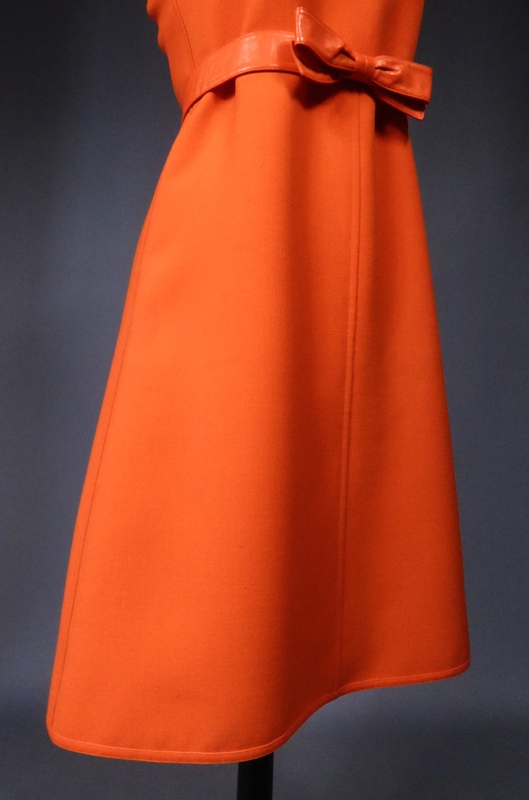 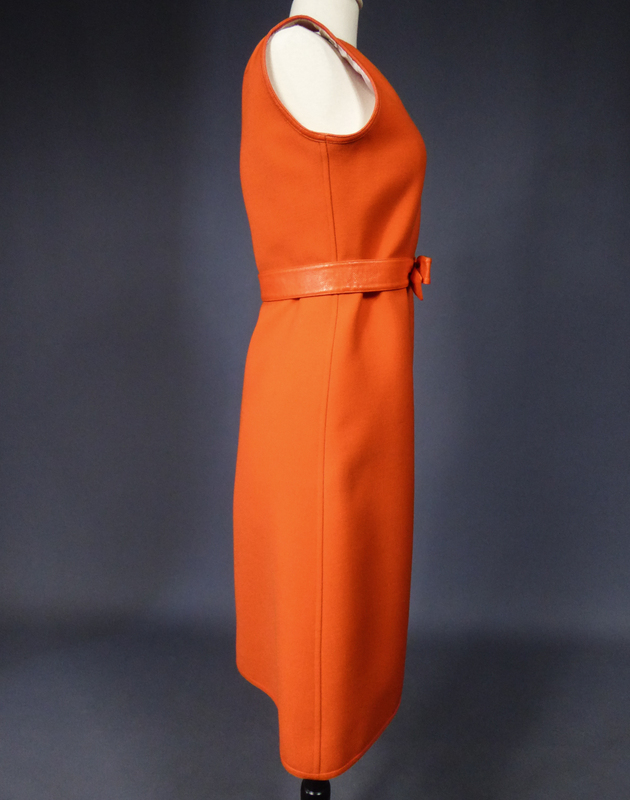 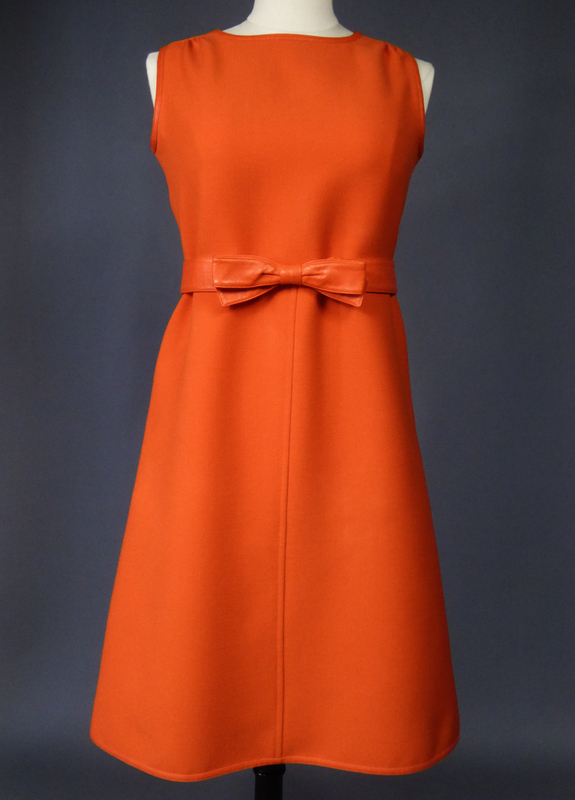 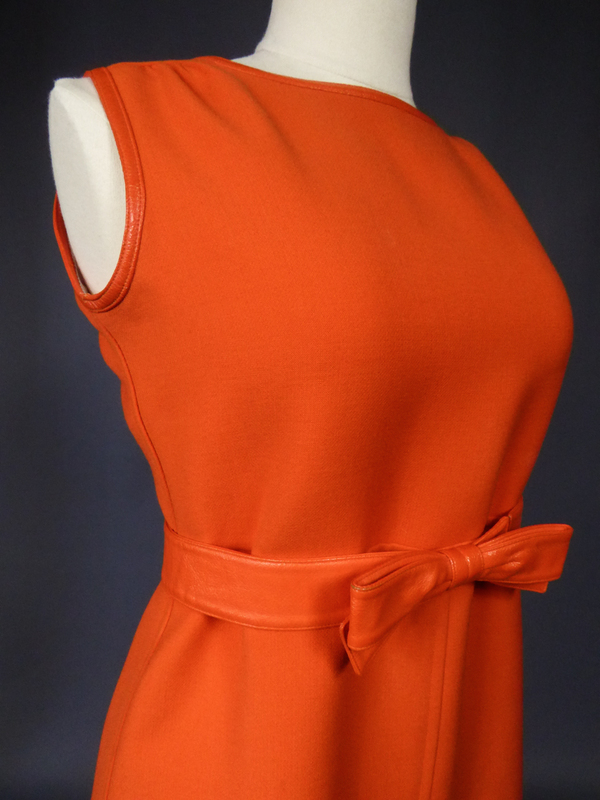 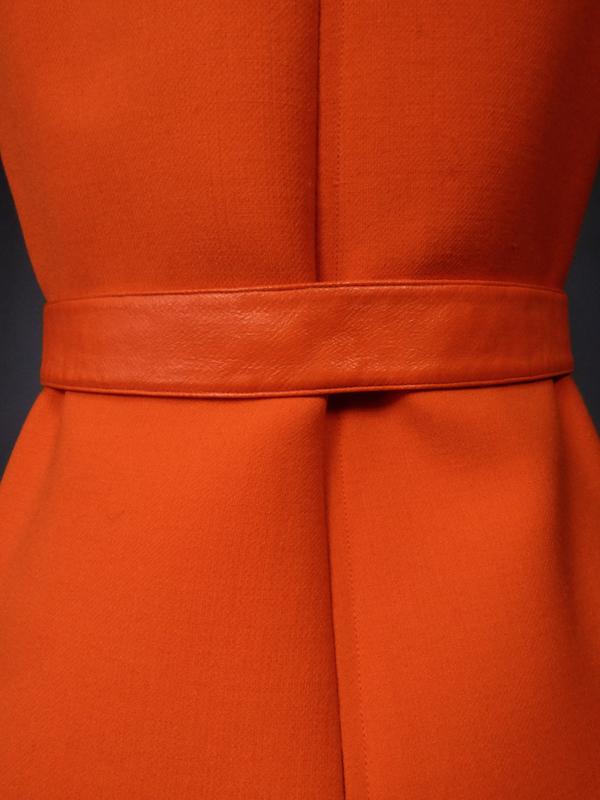 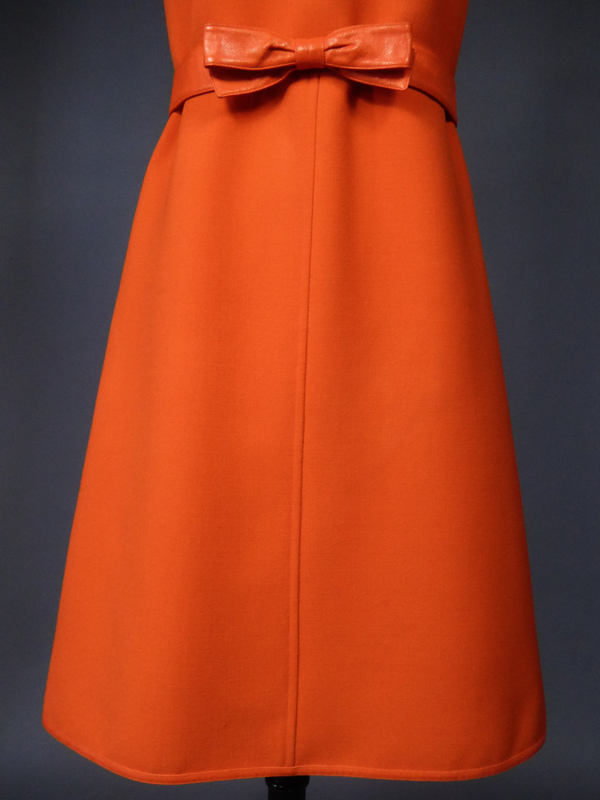 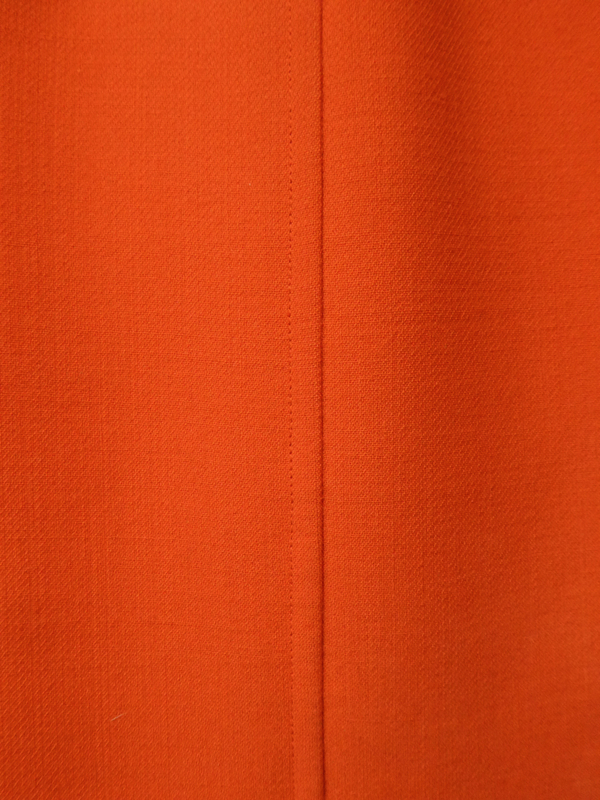 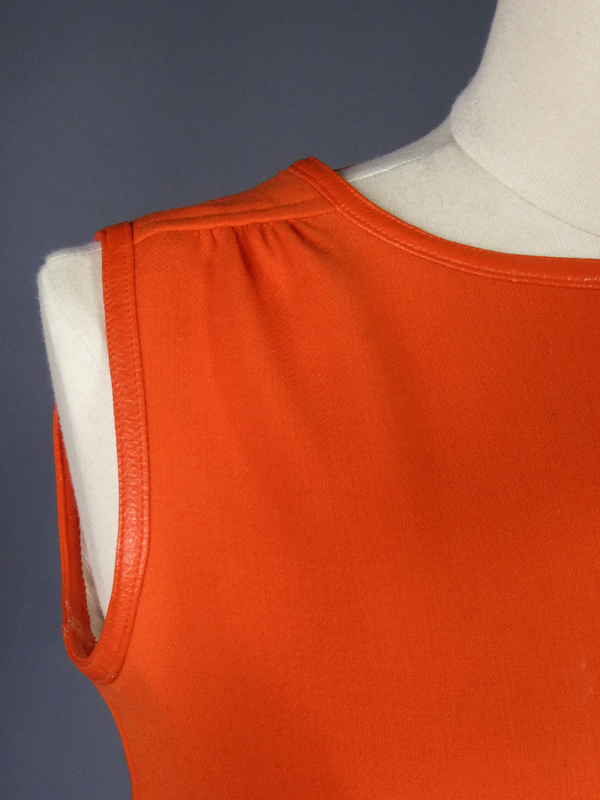 Courrèges Haute Couture day dress in thick orange jersey from the early 1970s. 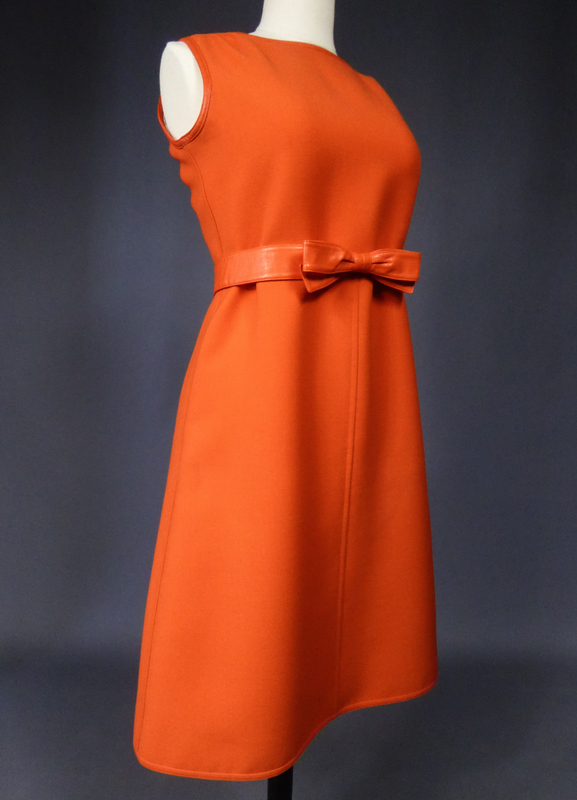 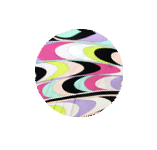 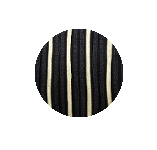 Straight sleeveless cut, pleated tabs at the shoulders and slightly flared on the skirt with vertical stitched seams. 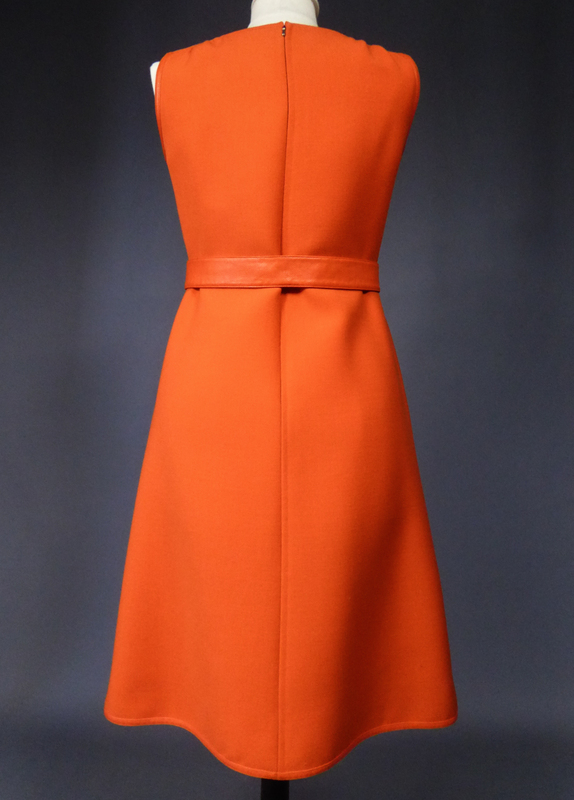 Minimalist simplicity with unique piping effect in matching leatherette vinyl at the shoulders and bardot collar. 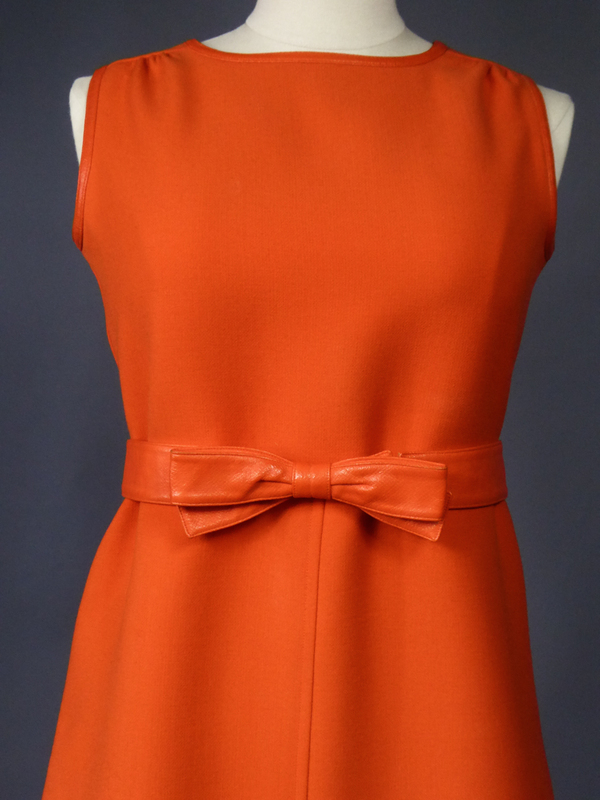 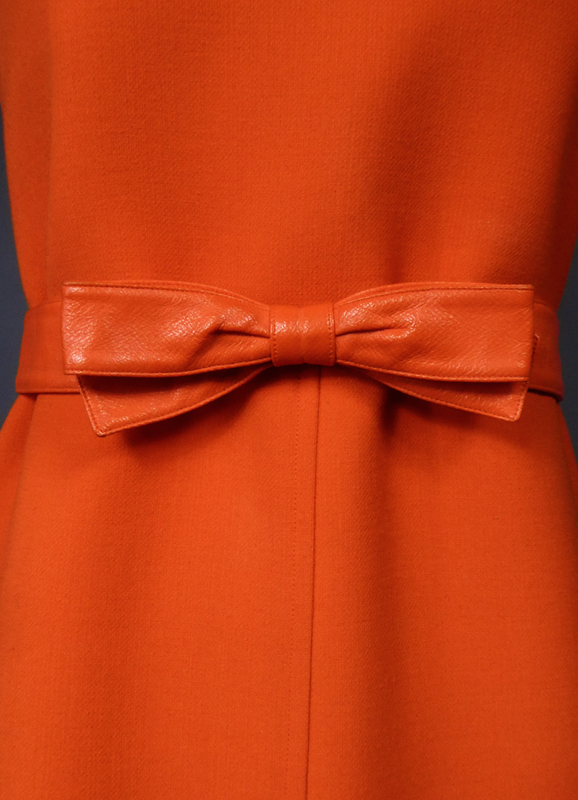 Orange Belt with flat bow in matching orange vinyl fixed by hooks. 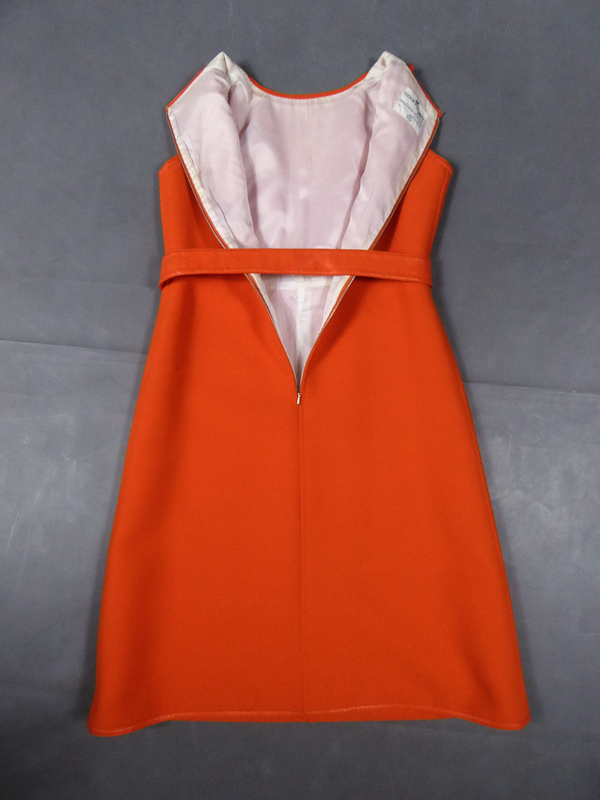 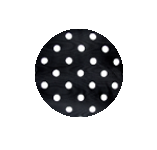 Lining in white nylon and zip at the back. 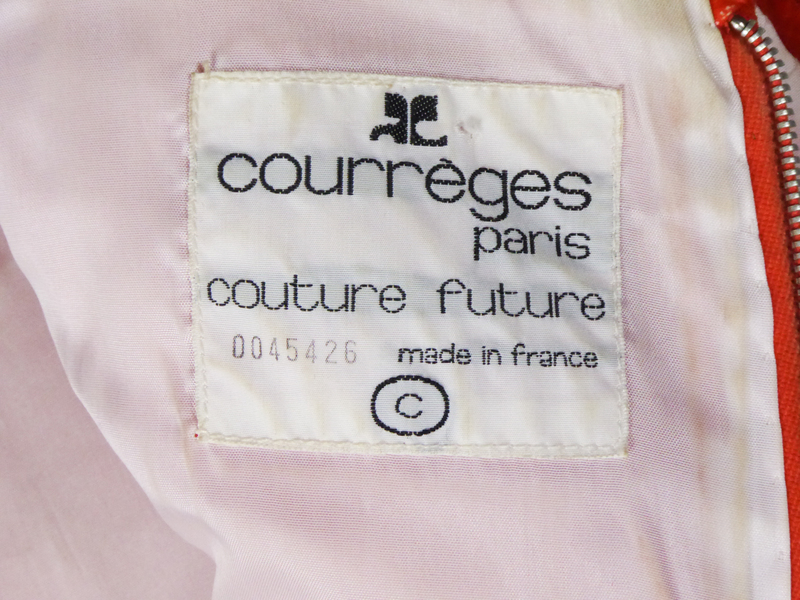 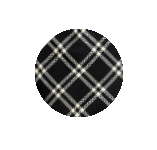 Label white background black graphics Courrèges Paris Couture Future Made in France numbered 0045426. 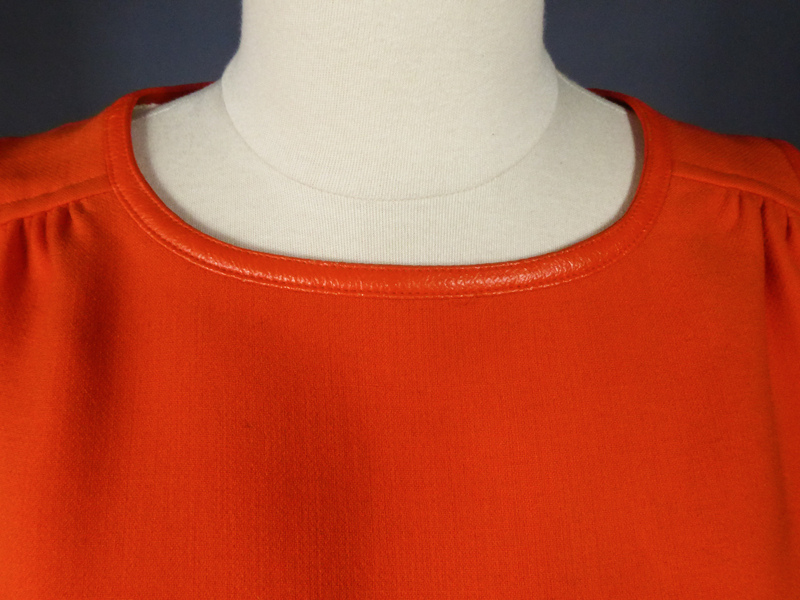  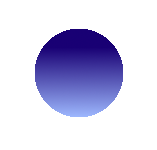 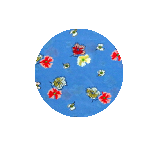 Perfect condition of color and conservation.